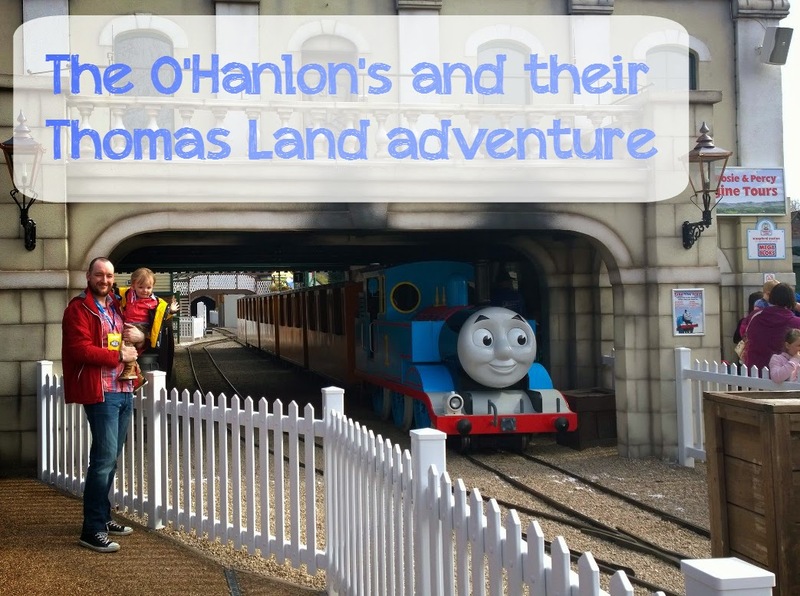 One day, the O'Hanlon family visited Thomas Land at Drayton Manor. 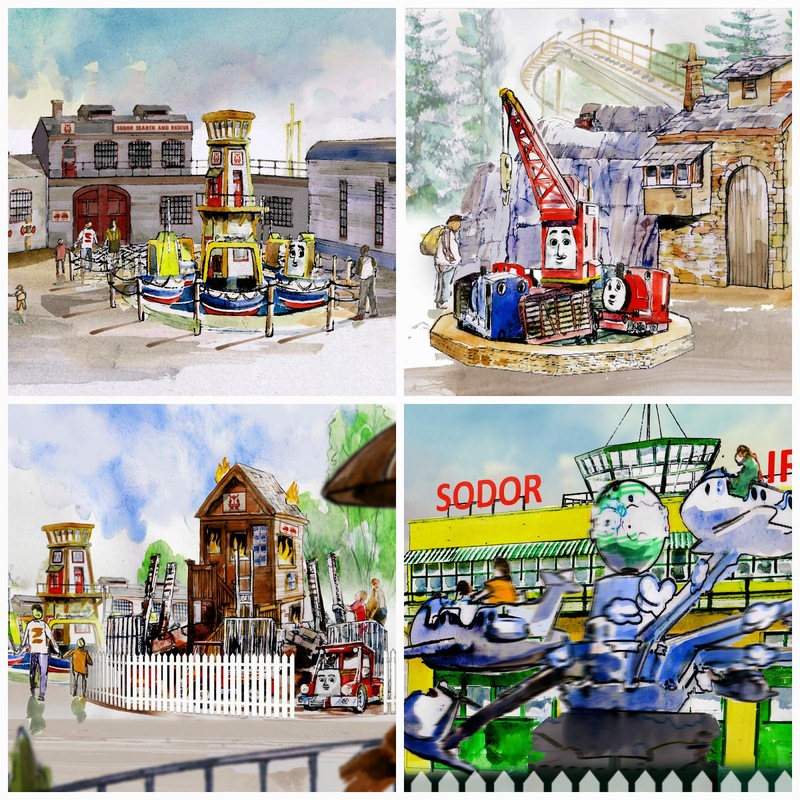 It was the theme park's 65th anniversary and they were unveiling a brand new extension to Thomas Land, which featured three brand new rides - Captain’s Sea Adventure, Flynn’s Fire & Rescue and Toby’s Tram Express - plus a new main attraction, Sodor Airport. 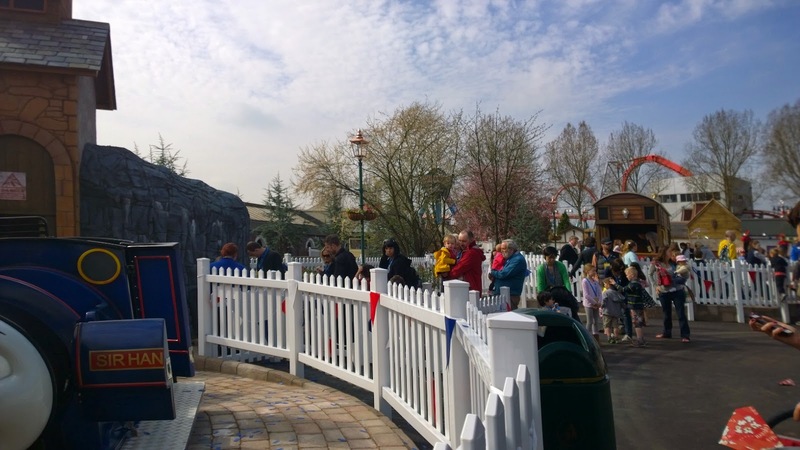 There to officially open the £2.5 million Thomas Land expansion was Sir Topham Hatt himself, who was in a jolly good mood. 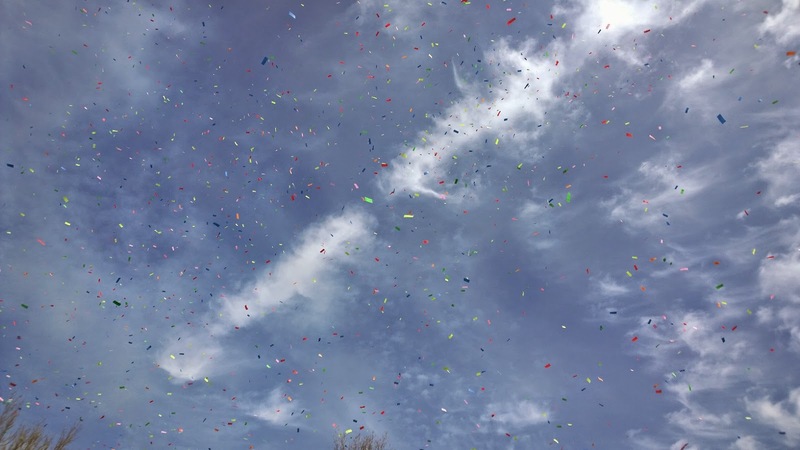 After a few words and several thank you's, the Thomas Land expansion was declared officially open and a flurry of confetti filled the sky. 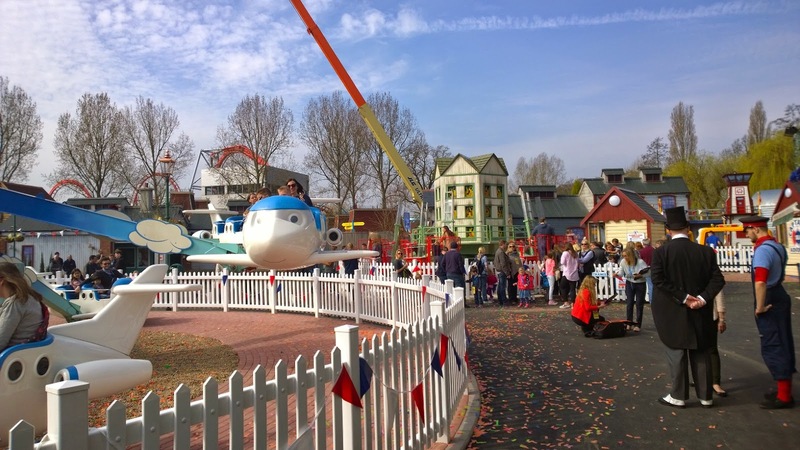 It was time to explore the new, bigger park! 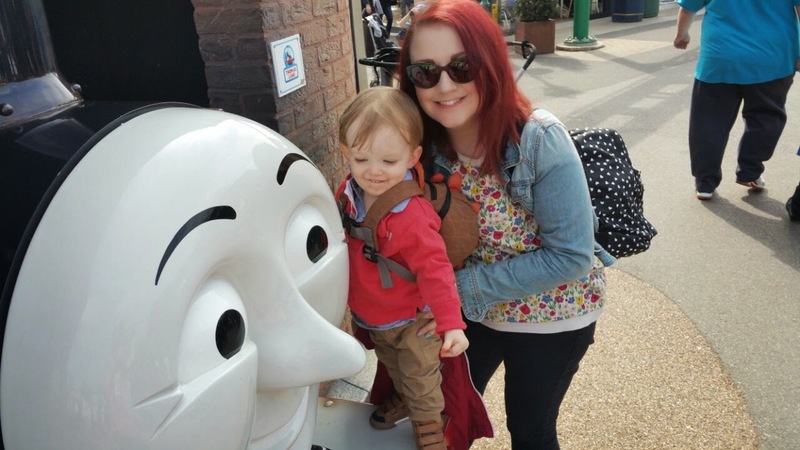 Ethan didn't quite know where to go first - there was so much to take in and so many new attractions to visit. 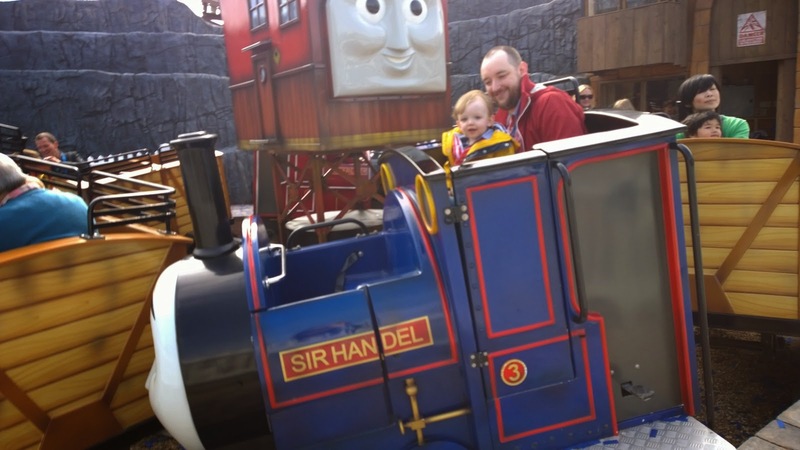 Ethan and Daddy decided to go on the Blue Mountain Engines ride, as it was just right for a little boy of 85cm tall. 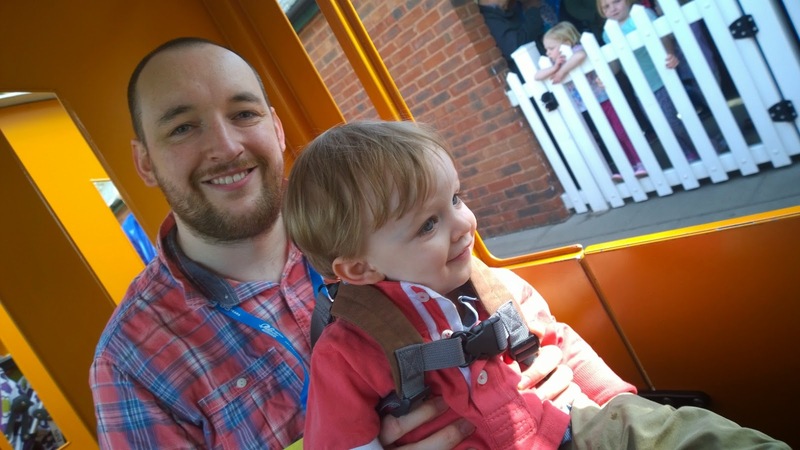 It was lots of fun and Ethan really enjoyed his first ride of the day. 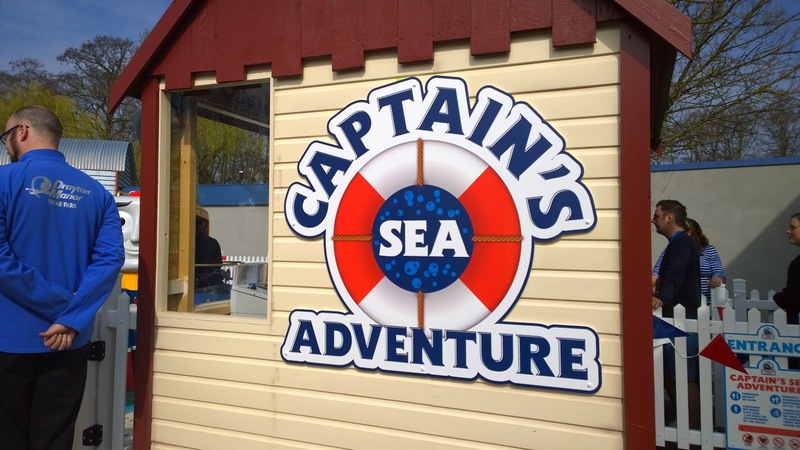 The O'Hanlon family explored the rest of the 3,200 square metre expansion, stopping by to say hello to Captain, Flynn and Toby at their new rides. 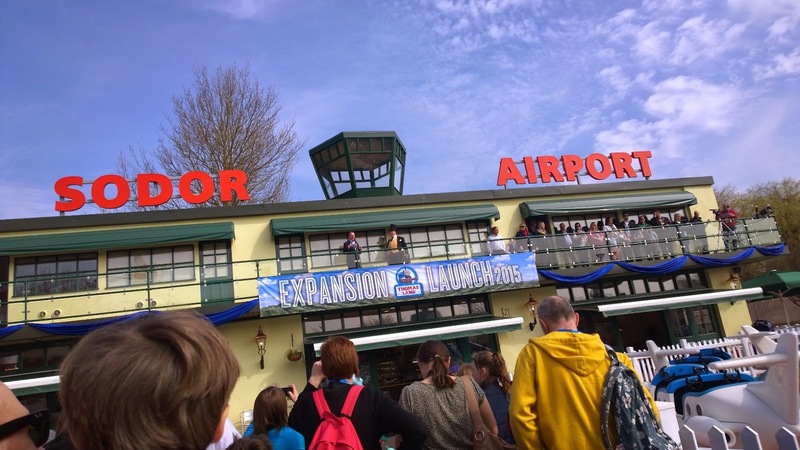 The new airport complex had balconies that gave the O'Hanlon's a brilliant view over Thomas Land and beyond, plus their was Sodor Coffee Shop to enjoy, and later on this year in Summer, Thomas & Friends themed event rooms will be opening too. 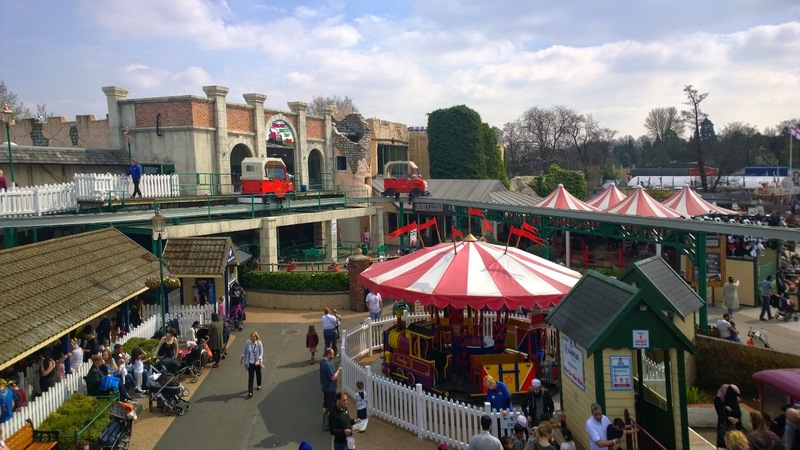 In the new section of Thomas Land, the family also saw the new Fat Controller fountain, Victorian fairground games and the music bandstand where musicians were playing a catchy tune or two. 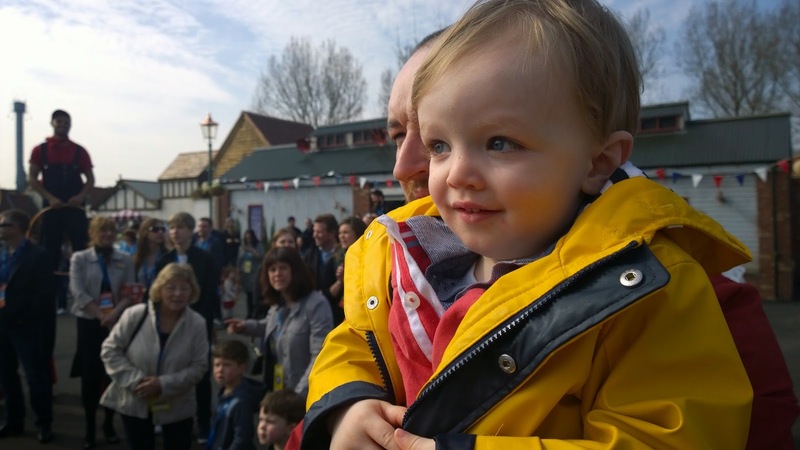 Wandering around the original part of the park, Ethan had lots of fun meeting all the engine friends he'd watched on TV - particularly Gordon, who was definitely his favourite engine of all! 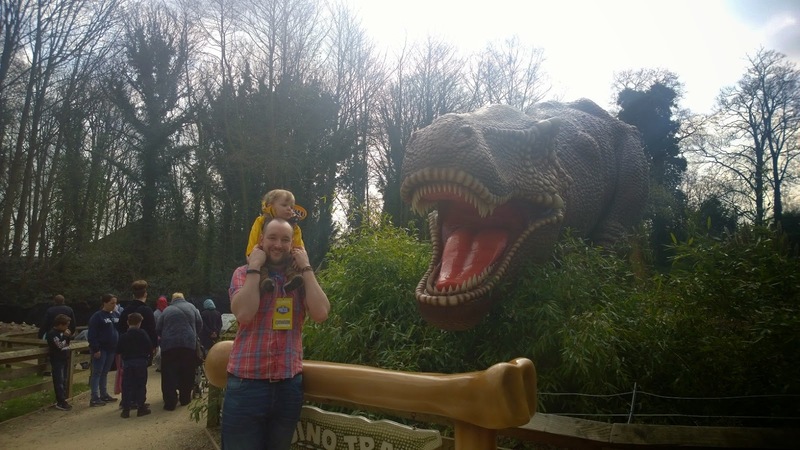 After exploring Thomas Land, the family visited other areas of the park, stopping off by the lake to have a spot of lunch then taking a walk around the zoo and meeting some friendly roars (dinosaurs, to you and I) along the way. 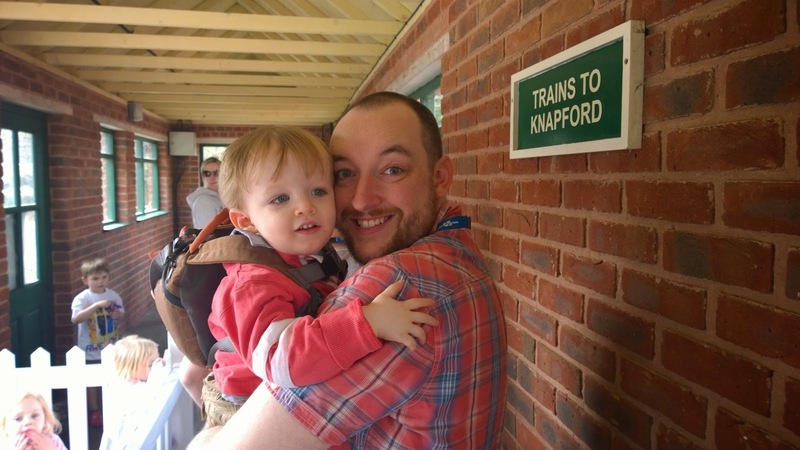 Mummy and Daddy then decided to take Ethan for a ride on a real choo choo and went to the station to wait. 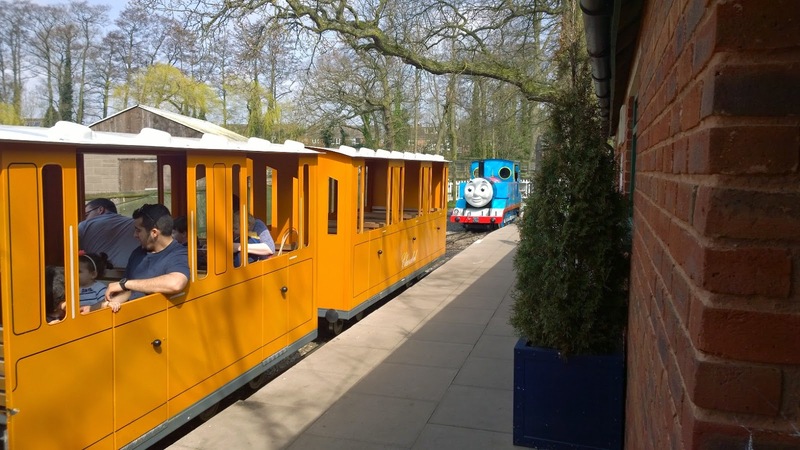 And look who was pulling their train... Thomas! 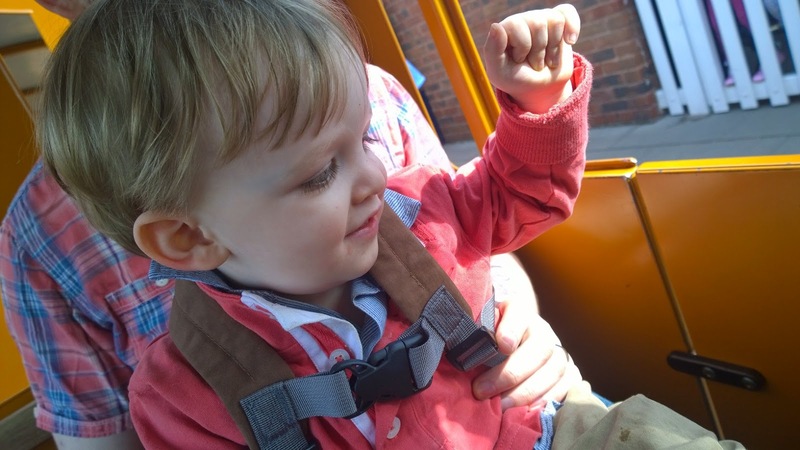 Ethan enjoyed the train ride very much and waved at all the people they passed. 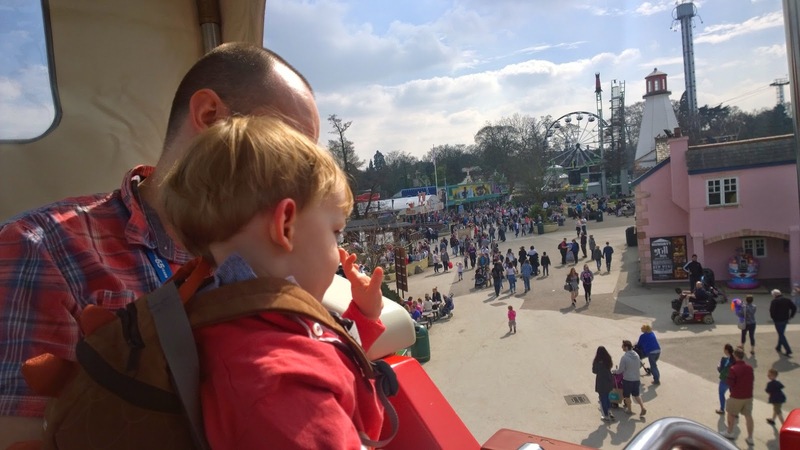 Back at Thomas Land, the O'Hanlon's climbed aboard Winston's Whistle-stop Tour, where they had a great view of the park and all the people below. 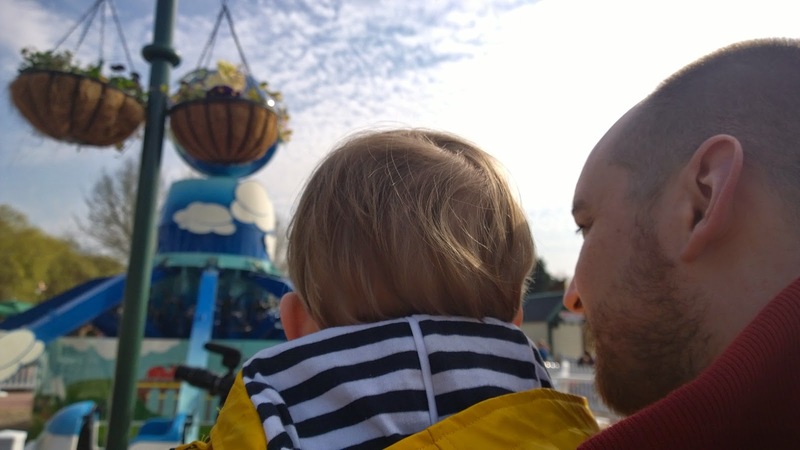 It really was such a lovely day and there were happy faces as far as the eye could see. 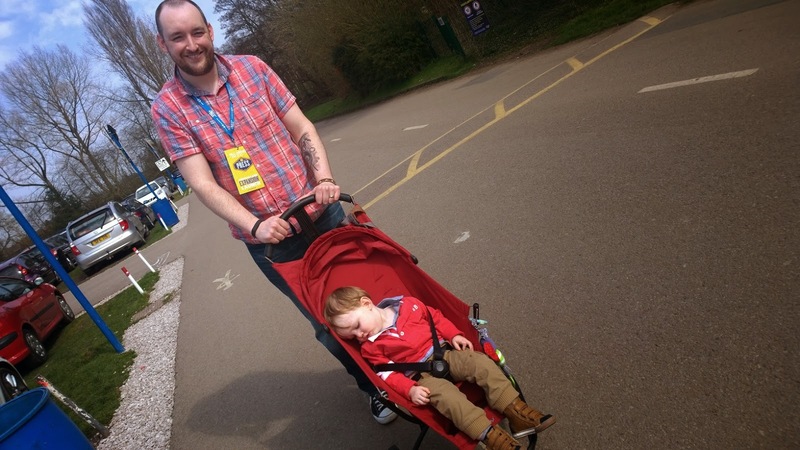 It had been a fun filled day but the excitement got to be too much in the end, and Ethan soon nodded off in his pushchair, no doubt dreaming about all the choo choo's he'd met and the adventures he'd had at Thomas Land. 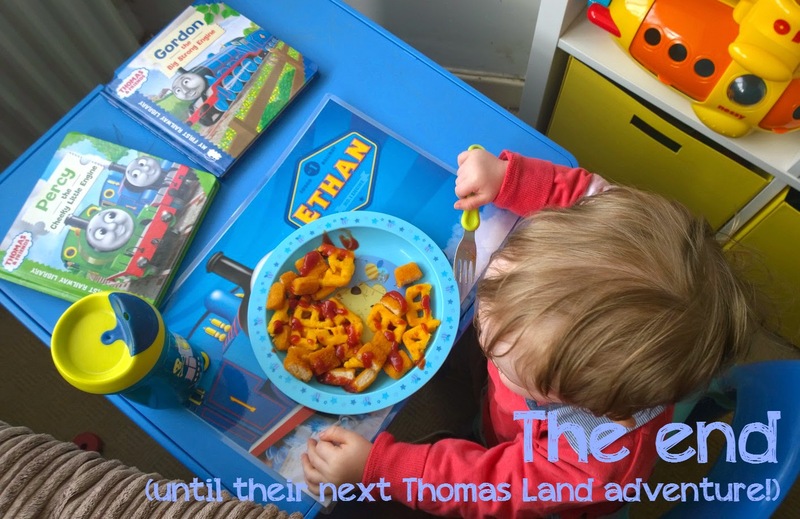 But at home, Ethan would have many more adventures with Thomas and his friends. 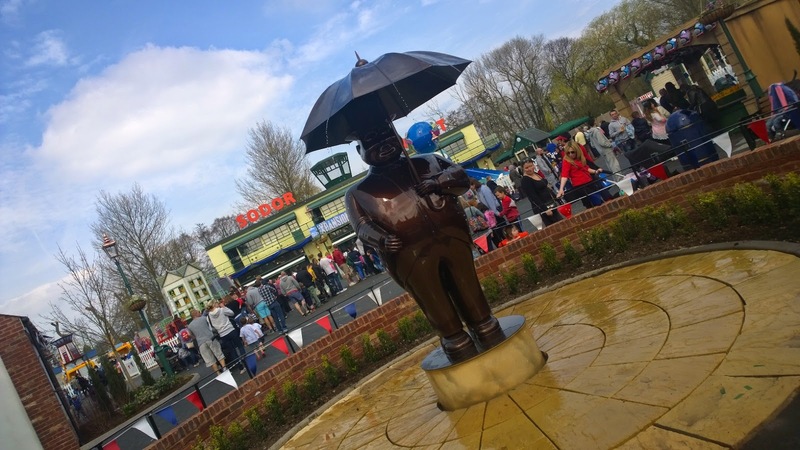 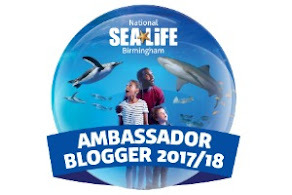 * Thank you to Thomas Land Drayton Manor for inviting us to the opening of the Thomas Land expansion which is now open - see the video below for further information or why not go take a look for yourself, you're guaranteed to have a great time! 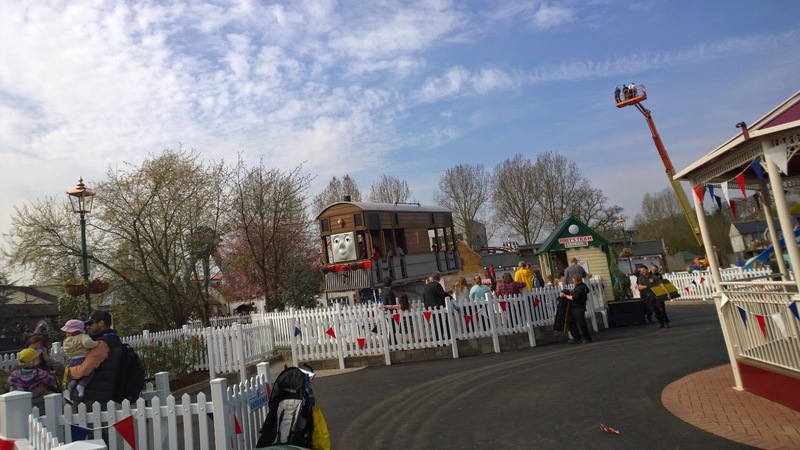 We had a lovely day and will be returning again with our choo choo fan for sure (ticket prices and booking information can be found here if you're thinking of visiting yourself). 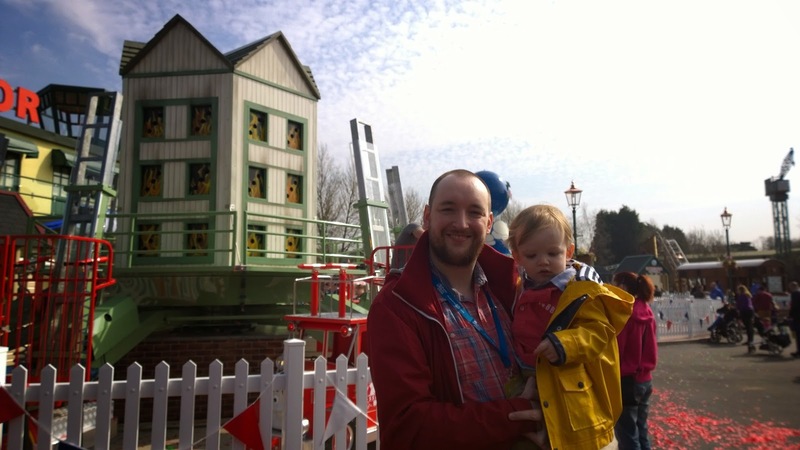 All opinions, as always, are my own.